Max Nisen of Business Insider wrote recently of a list of seven stock picks discovered in a Credit Suisse report on long term trends. One of those trends was increasing global automation (particularly in China) and the seven picks relate to companies poised to benefit from those needs. The article and list prompted a series of quick personal opinions concerning almost all of their selections which I thought might be interesting to followers of the robotics industry. Below are the seven Credit Suisse stock picks with a brief description of what the companies do, my best understanding of Credit Suisse’s reason for selecting the stock for the list, and my opinions as to the particular company. Siemens derives 31% of its profits from factory automation in which they provide everything but the robots: control and monitoring systems, inspection and vision systems, sensor systems, power supplies, manufacturing and warehousing systems, etc. Siemens also makes consumer products and provides transportation systems and health care and hospital products. FT Comment: Because Siemens is into so many different activities, they are a good conglomerate but not necessarily a good bet for automation and robotics. Their stock moves to a different drummer then a company that is devoted only to robotics such as, for example, FANUC. It may be a good conservative bet for a long-term hold if you want to invest in conglomerates. Other conglomerates with some involvement in robotics include Textron (NYSE:TST) and Teledyne (NYSE:TDY) for example. 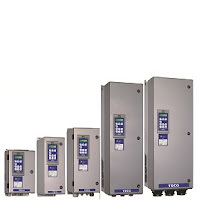 Rockwell provides automation power, control and information systems. Many factory robot systems include Rockwell control boxes to drive their robots and integrate their activities into the larger factory system. Rockwell and its subsidiaries also provide servos, power systems and sensors. FT Comment: Up until recently the computing power necessary to compute the complex math of robotic movement and control the multiple motors that drive a robot were offloaded into separate boxes for that purpose. Rockwell has been a leader in this field for a long time. But with the cost and size of CPUs dropping and the need for mobility in all the newer-tech robots, Rockwell may face an uncertain future and a diminishing share of the robotics ancillary products and control systems marketplace. 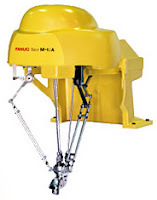 FANUC is a Japanese company mainly engaged in factory automation equipment including CNC systems, laser products and all forms of robots and robotics. They just completed a new “black” factory for the production of robots for sale in China. FT Comment: FANUC is predominantly a robotics company and hasn’t suffered too much from the tsunami disaster. They have been ramping up because there is great demand for their robots and systems in China as well as the rest of the world. Unless there emerges a Chinese competitor in the near term — such as Foxconn might become — FANUC has the potential for success over the next many years. Other robot manufacturers similar to FANUC include ABB (NYSE:ABB), KUKA (ETR:KU2), Yaskawa Electric (TYO:6506) and Adept (NASDAQ:ADEP). Delta Electronics is a Taiwan-based supplier of power supplies, power switching devices, servo motors, and video and electromechanical products. 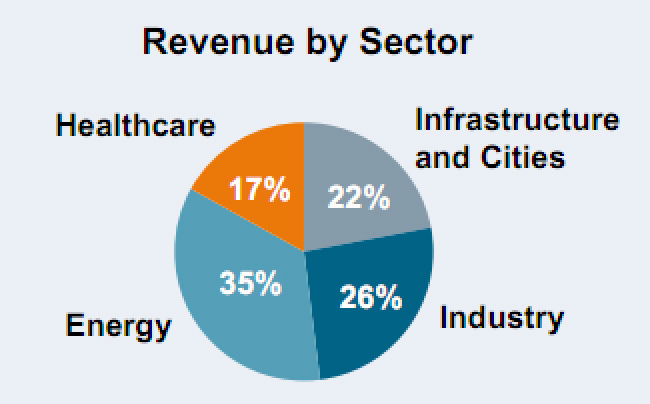 Industrial automation products represent 8% of revenue but 20+% of profits. FT Comment: Taiwan-based Delta Electronics’ motors are a staple in China and barring anything unforeseen, they are a good bet to continue that trend. However, industrial automation products are a small portion of their gross revenue, are considered a commodity product, and consequently may not be an important component of the value of the company. It may be an interesting company for other purposes, but not automation. Keyence designs and produces sensors, vision and laser imaging and range-finding technologies used in robot mobility and factory automation applications and vision systems. FT Comment: Microsoft and PrimeSense blindsided many of the laser-scanner companies with their new-tech low-cost scanners and eloquent software. The marketplace now expects that low cost but, at present, cannot meet its needs for scanning with Kinect-like devices. [This is changing however with better and better software.] That, combined with a slow recovery from the twin economic and tsunami crises have hurt Keyence, a Japan-based company. Even though they are cash rich and profitable at present, they haven’t fully recovered from the economic crisis and their annual reports don’t seem to indicate research efforts that will enable lower cost technologies in the future. Currently there is sharp pressure on pricing and Keyence, Optech, V-Gen, Velodyne and other LIDAR and laser-scanning manufacturers are beginning to feel it. A few of these companies are embracing Kinect-like devices to supplement their product lines but I see the automation marketplace finding newer technologies at much lower cost from newly emerging companies to fill this very necessary vision/mobility task. Notable alternative vendors providing vision systems for robotics and automation include Cognex (NASDAQ:CGNX) and Raytheon (NYSE:RTN). The biggest and most known provider of laser scanners is SICK AG, a privately held company. Mitsubishi Electric designs and manufactures heavy industrial electrical equipment as well as power modules, consumer electronics and robots. 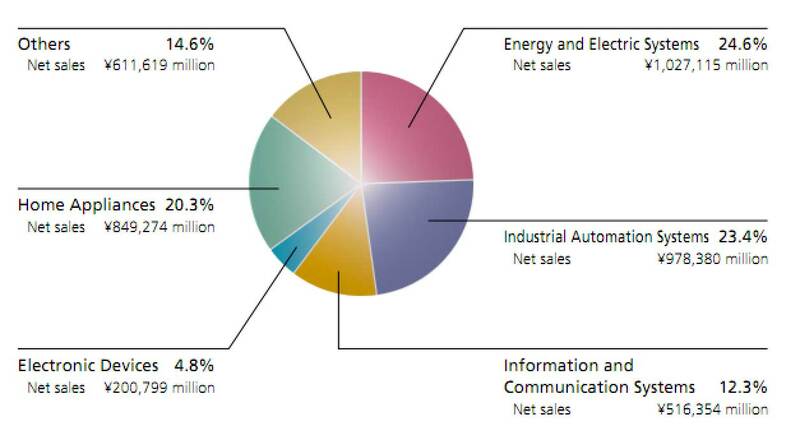 20-30% of their operating profits are derived from the sale of factory automation equipment. FT Comment: Mitsubishi has been a market leader in industrial robotics and the computers that control them. And they have a big and well-respected sales presence in China. They do not have much of a presence in the emerging service robotics sector however, and this suggests that they will do well as an industrial robotics provider but may not capture market share in either the emerging SME or service robotics markets. TECO is a Taiwanese manufacturer of all types of electrical motors and electrical control products including those used in and with robotics and factory automation. They also have a consumer products line and a big market share in China. FT Comment: Robots and factory automation systems require all sorts of equipment and systems to do their tasks. Electrical motors and their control systems are integral to that process. But there are many providers and TECO is just one — Yaskawa Electric and ABB are names more familiar to the robotics world that provide similar servos and electrical equipment and systems. To some extent, this is a commodity business with ever-lower prices and global competition; not a particularly appealing market for the long term. The opinions expressed above are based on what I see happening in factory automation, industrial robotics and other types of robotics involved in the production, movement and handling of products over the next few years. Industrial robotics as we know it — caged arms welding, painting and manipulating long streams of mass-produced automotive and electrical goods — will continue to grow at a healthy pace as more of the world stays competitive by automating their factories. The major players in this field are robot manufacturers KUKA, ABB, Yaskawa Motoman, Mitsubishi, FANUC and providers of ancillary systems and equipment like Rockwell Automation, Delta Electronics, Keyence, Cognex and others. Many research firms have projected steady growth for this sector at 3-5% CAGR for the rest of this decade. Other types of factory automation may not be as visible as a robotic arm; instead it might be a process control or material handling system that is robotic in nature. This robotic-like form of automation and industrial robotics are both moving toward produce-on-demand systems which require great mechanical flexibility and complex software and systems. This is a moving target which progresses as technology does — literally changing day by day — and utilizes advanced sensors, fast computer processing, massive data manipulation and complex algorithms. It’s not just visible robots but whole robotic-like automation systems that are enabling companies to compete with low-cost labor from off shore. This is true even in countries like China which is beginning to upgrade their product quality and worker efficiency while coping with higher wages — and they are doing this through automating as much as they can. Far more companies are beginning to automate to stay competitive than just big factories. Small and medium-sized enterprises (SMEs) are propelling the service robotics segment of the robotics industry forward to new capabilities and expectations. SMEs need robots that are plug and play, easily trainable, have vision capabilities, are super flexible and safe to work alongside — just like their iPads and apps from the App Store. Thus manufacturers of stand-alone control systems and companies that provide systems integration may not be as needed in the SME marketplace as they were (and for the time being are) for big factory robotics. New co-robot manufacturers like Rethink Robotics, Redwood Robotics and Universal Robots (Denmark), and software developers like Universal Robotics (US) and their Neocortex control system for 3D sensing of random objects and then integrating that data into user systems (e.g., into Yaskawa’s Motoman 2-armed robots) — all privately held — may become disruptive and take away market share from the bigger companies. Up until recently, neither vision-enabled systems nor mobility in manufacturing has been economically feasible, but that is changing. Mobile robots today move things from here to there and can be summoned and instructed by iPads. Buyers expect that mobile robotic devices be self-contained and encapsulate their various systems within the device; again, no need for stand-alone control systems or systems integration except, perhaps, in the Cloud. And vision-enabled robotic systems are proliferating and making it possible to get more from existing robots. 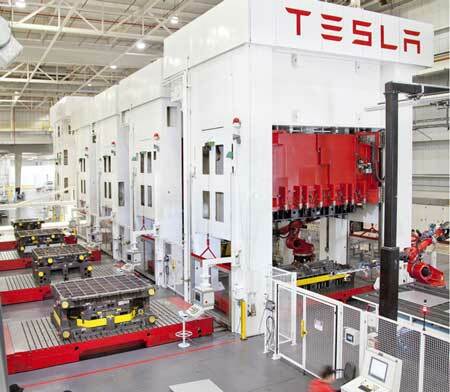 Case in point is Tesla Motors which uses multiple tools for their robots to allow them to do a quick tool changes and perform multiple functions, e.g., welding, riveting, bonding and installing a component, yet the core robots are old-style fixed-to-the-floor KUKA, Fanuc and Fronius robots and mobile SmartCarts from Motion Controls. Almost every non-industrial robotic system (which, for lack of a better term is presently called Service Robotics) involved in making, moving or handing products, has the expectation of mobility, safety, vision, trainability without programming, and great flexibility. That is where the industry seems to be heading and the industrial players are slowly transitioning to be able to provide for that need. 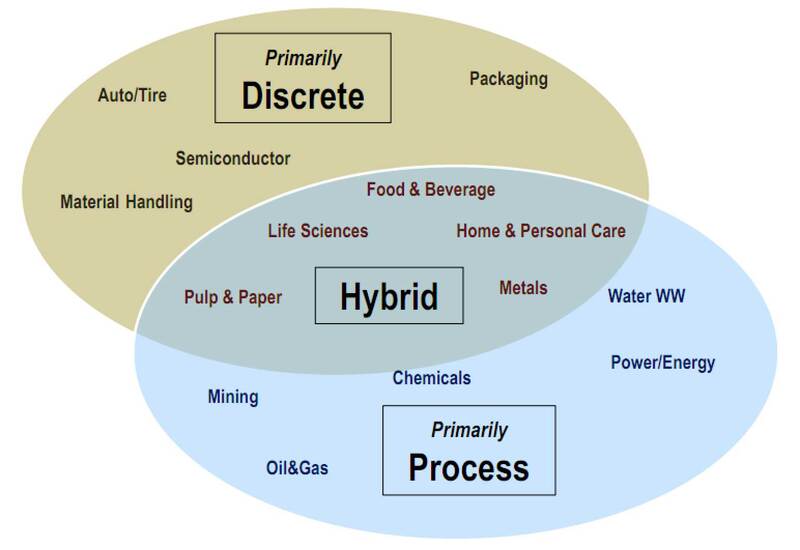 The companies mentioned above are beginning that transition — but not very fast because they have a healthy and profitable growing industrial market already. Perhaps newer more adventurous companies will move more quickly to capture this market segment. During the California Gold Rush, there were many fortunes made and lost but one of the more enduring successes was Levi-Strauss, a clothier to all miners. Levi’s never had to worry about which miners were going to discover gold; they all needed pants. In the New American Economy, these trends all converge around advanced fulfillment capabilities. Amazon has invested in its fulfillment capability for just that reason. The “Levi-Strauss-like” opportunity of today is in Fulfillment or, more specifically, Robotic Fulfillment. Finally, Credit Suisse didn’t mention other areas for automation and there are many. One example is hospital automation — a big market for pill dispensing robots, mobile tugs to deliver linens, meals, trash and medicines, autonomous cleaners of all types and remote presence robots. Three public companies of note are Swisslog (SW:SLOG), Adept (NASDAQ:ADEP) and iRobot (NASDAQ:IRBT) and two at-present privately-held companies are InTouch Health and Aethon.